Extra Touch Events filed its business license July 1, 2016 and started operation October 2016. The foundation concept was to be a Destination Management Company for the inbound business traveler and their conferences. It expanded its focus to local events, both private and corporate, including golf tournaments and recently added wedding coordination. Extra Touch Events is known for extreme attention to detail which translates into a winning event for the client. We go over every detail meticulously because we are going to do it right. Extra Touch Events is unique because we consistently “raise the bar” and add just a little something extra that makes the event stand apart. We pay attention to the client and their audience. 5. 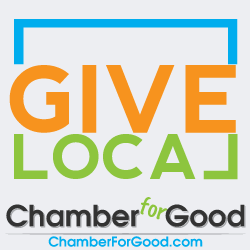 What do you perceive as the benefits you receive from the Chamber membership? Their introduction of my business to the community coupled with the consistent endorsement support of the Chamber staff is the best benefit of the membership. Working side by side with these incredible people at events; learning more about Tualatin business has not only been a benefit but a fun benefit. 6. What advice would you give a new business owner of someone who is considering starting a business of their own? Go into it knowing you are going to make mistakes, know how to forgive yourself and learn. Realize that situations change which sometimes can be disappointing but remain flexible. Truly really believe you can do this and don’t give up. The foundation of Extra Touch will continue to grow deeper and stronger; Extra Touch will be the “Go To” event services business everyone uses year round. Enjoying lots of laughter when I play golf is my favorite outdoor hobby. Interior decorating is a passion. In college I did cooking demonstrations – still enjoy surprising myself and friends that I can cook an exceptional dish – once in a while. The hobbies I would like to return: Travel; and again, a college past time – sailing. In addition to volunteering at Chamber events, I am trained in Emergency Management. It is important to educate folks in the community not only how to prepare but how to think in an emergency, look at contingencies, alternatives, stay safe, composed and react accordingly. Extra Touch Events gives back through the Chamber by volunteering time and sharing industry knowledge to help their events become more streamlined and efficient.